Forget the blip of the riots, Brixton is thriving. The area around Windrush Square, a site of regeneration for several years, continues apace. The old Fridge venue next to Lambeth Town Hall on Brixton Hill re-opened as Electric Brixton earlier this month. 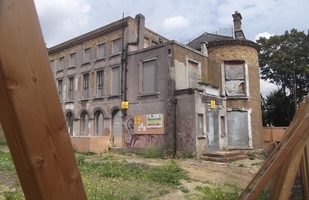 Now, just across the road, work is about to start to turn a derelict Grade II-listed building into a black heritage centre. 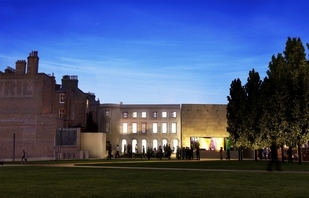 Due to open in October 2012, the new-look Raleigh Hall (built in 1824) will be home for Brixton’s Black Cultural Archives. The collection, founded in 1981, holds over 10,000 documents, photos and objects relating to history of people of African descent in Britain. Lambeth Council are also pitching in with funding over five years and the gift of 99-year lease. Steve Reed, leader of Lambeth Council, has commented that he’s ‘delighted to support and honour the legacy and contribution of the original Windrush generation, their predecessors and descendents.’ The view from the council offices in Lambeth Town Hall will certainly improve with the Ritzy Cinema, Tate Library and Raleigh Hall all overlooking the Brixton plaza. Architecture images courtesy of the Black Cultural Archives. Current view image courtesy of M@.